Alternative energy solutions can be a viable source of secondary, and sometimes primary, power for remote radio communications sites. Careful planning along with the proper selection of the correct equipment is absolutely imperative in order to ensure a successful deployment. Environmental factors such as temperature, precipitation, cloud cover, terrain, geography, altitude, and other variables all play a role. No two solutions are the same and in many cases, multiple methods can be combined to provide sound and reliable power backup. These methods include solar, propane or diesel engines, fuel cells, thermoelectric, and even wind-powered generators. Valence has experience in designing, installing and optimizing alternative power facilities at remote locations and can work closely with you to determine the best options to meet the required technical parameters and fiscal constraints. 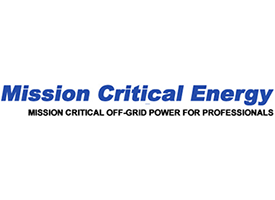 Contact us today to discuss your backup power needs and see if alternative power can be part of the right solution for you!